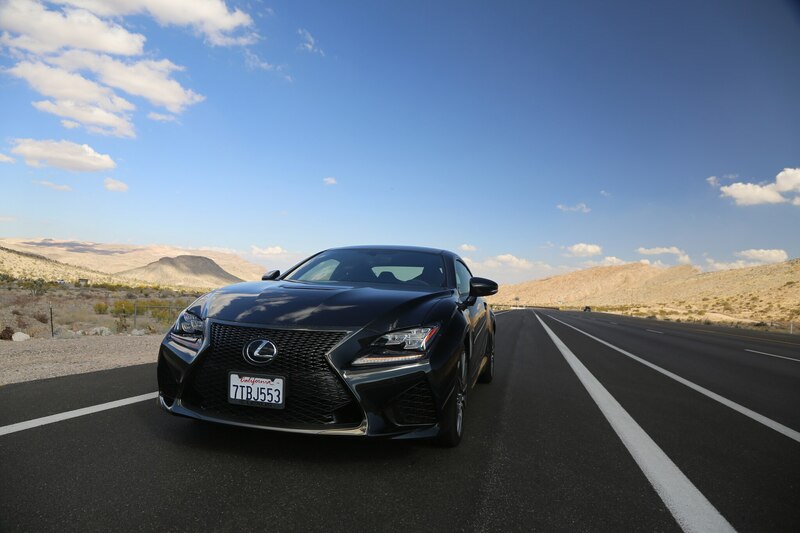 LAS VEGAS, Nevada — The chance to drive across the desert in a V-8-powered sports coupe was a too romantic of a premise to pass up—it reeked of Americana and freedom. I’d been tasked with driving to Nevada to cover the 2017 SEMA Show and the Koenigsegg Agera RS top speed attempt. 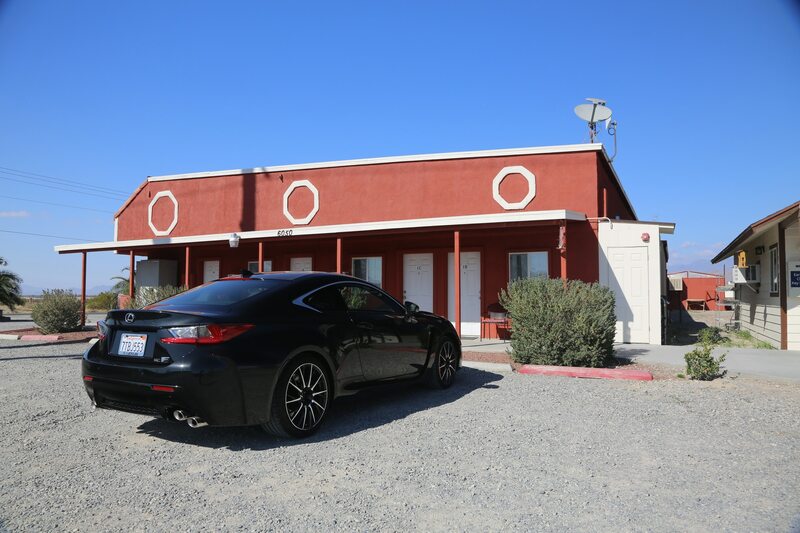 This job called for a car comfortable enough for logging hundreds of miles of freeway driving but spicy enough to keep things interesting. 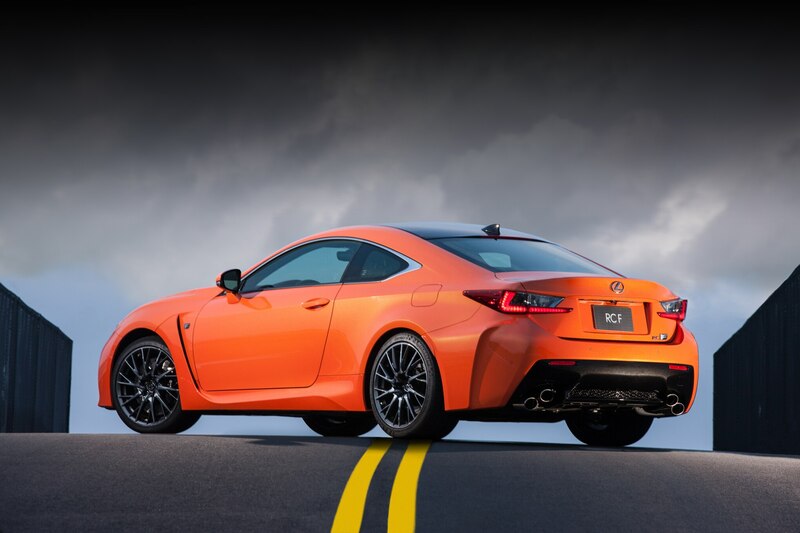 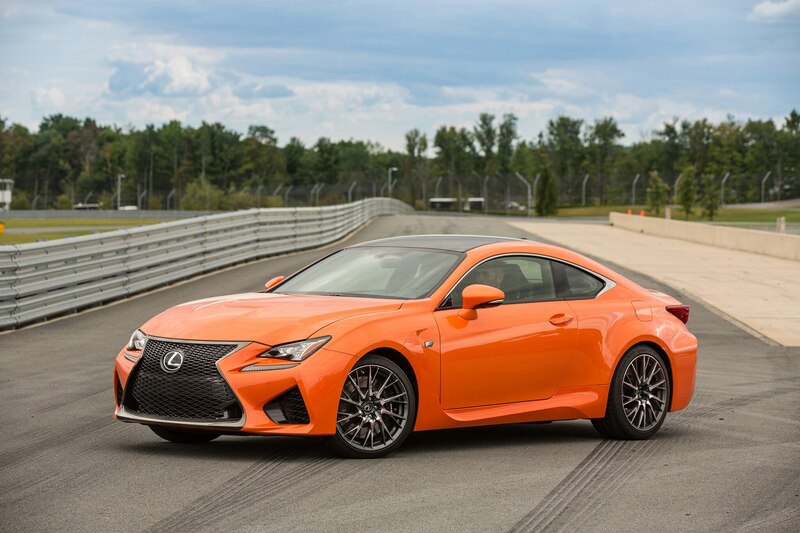 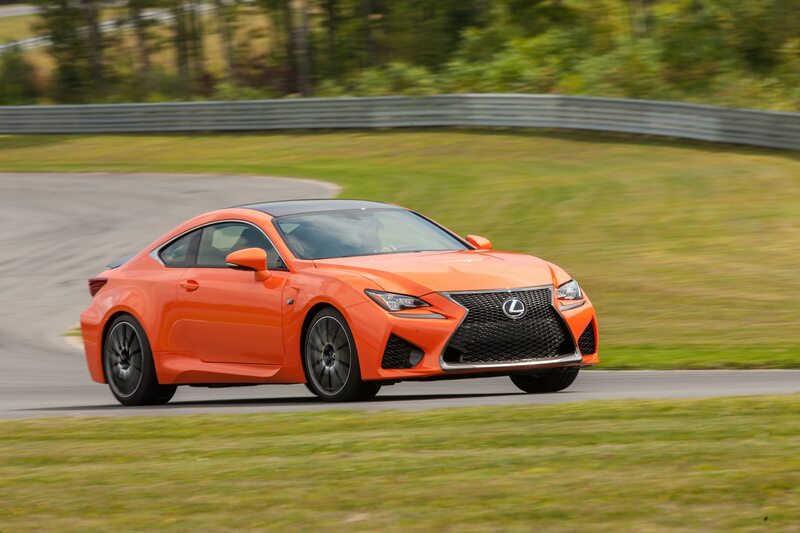 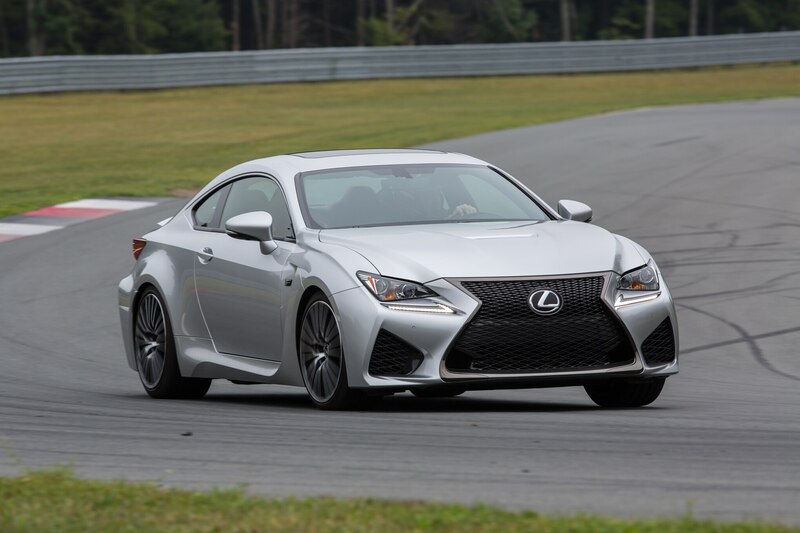 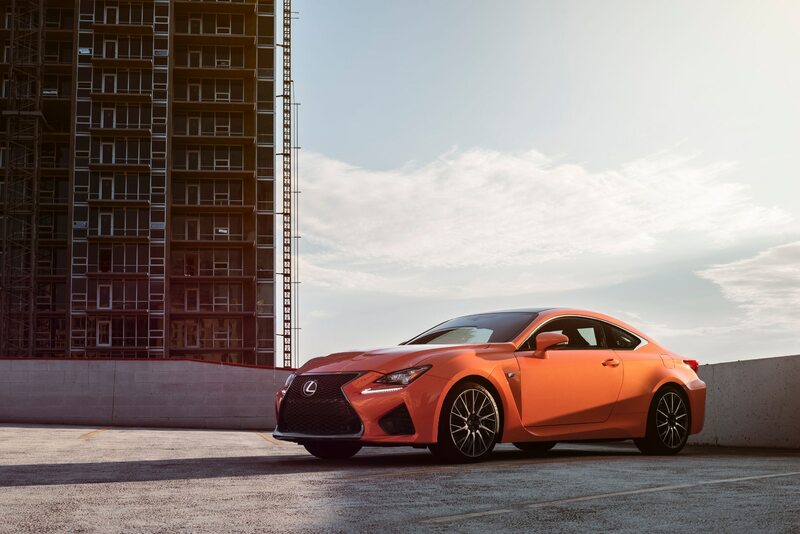 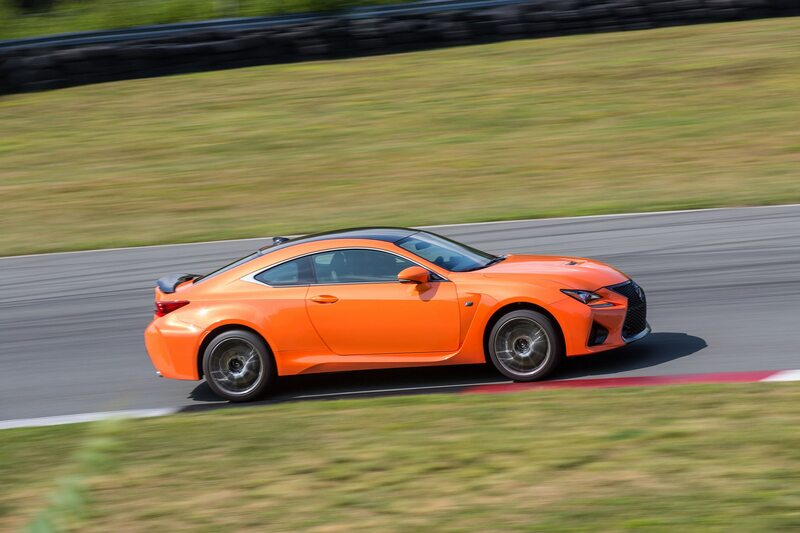 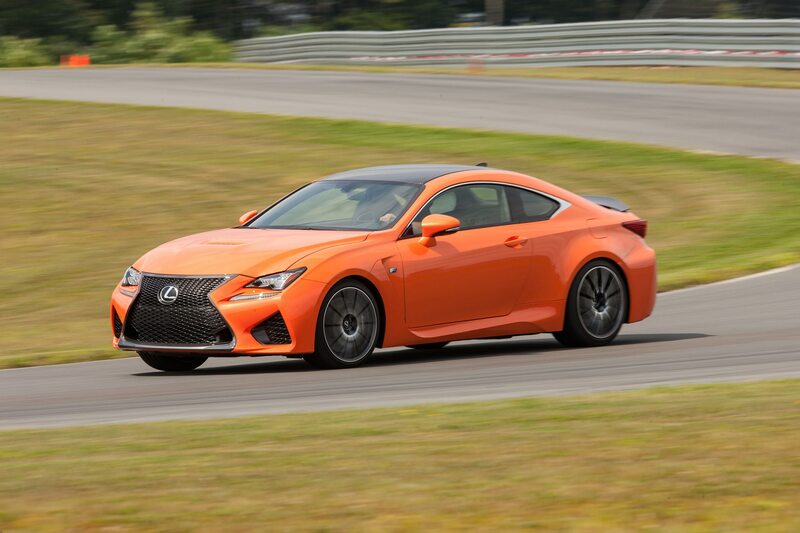 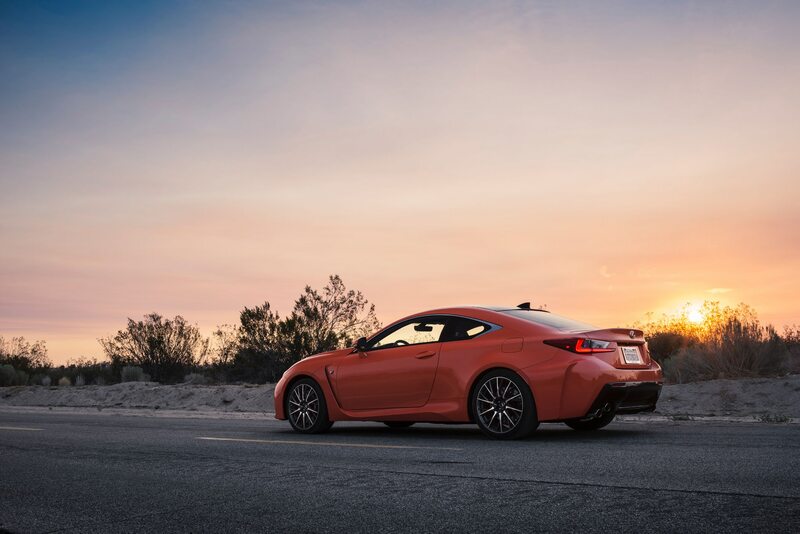 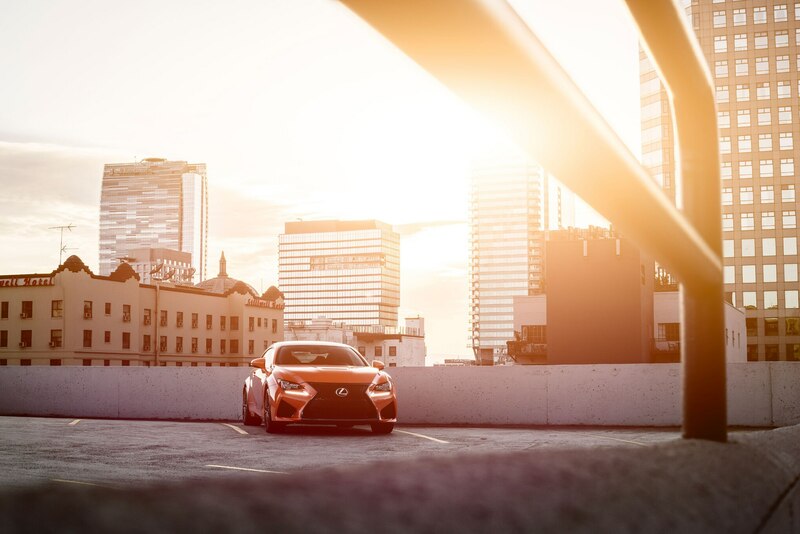 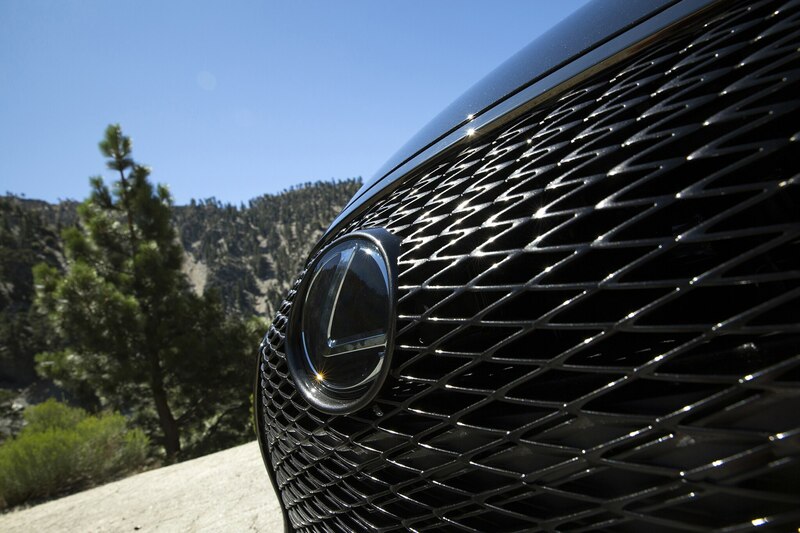 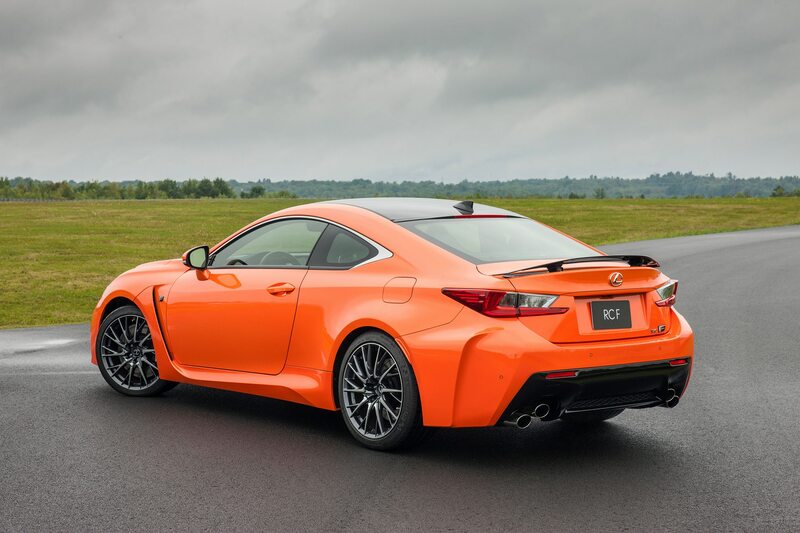 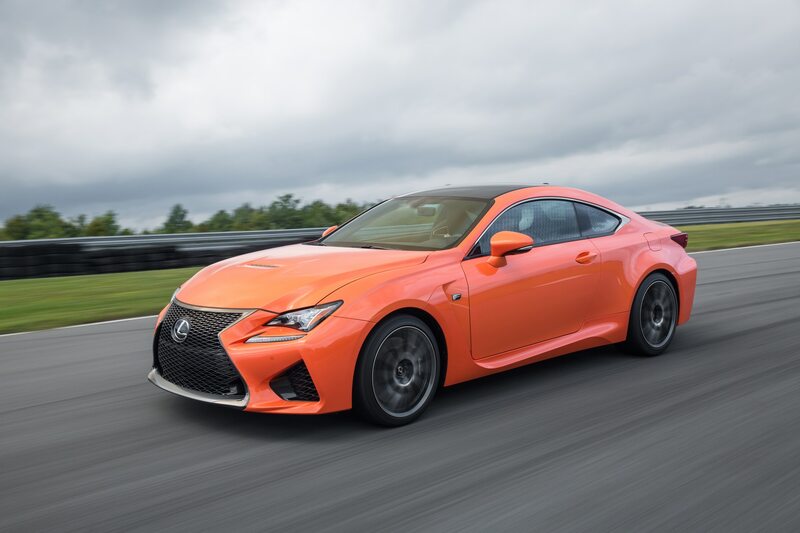 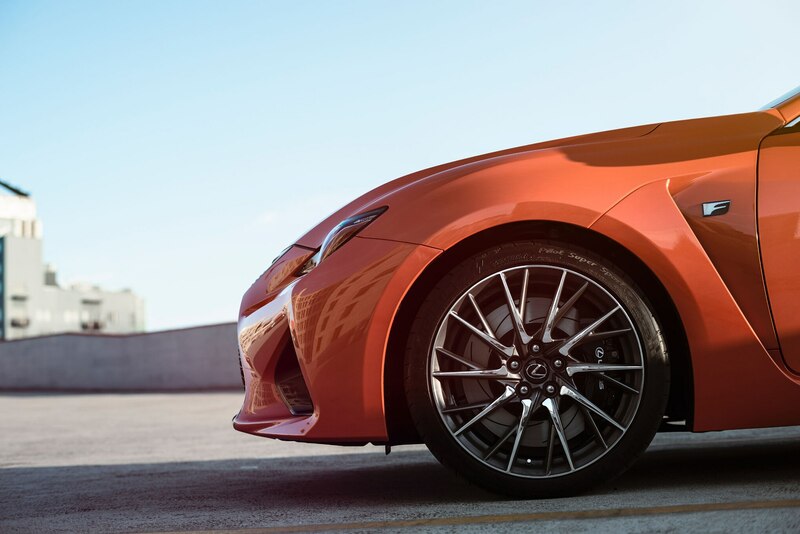 Enter the 2017 Lexus RC F.
I’m not the first to compare the RC F to an American muscle car, price and place of origin notwithstanding, but the 5.0-liter V-8 almost necessitates the association. 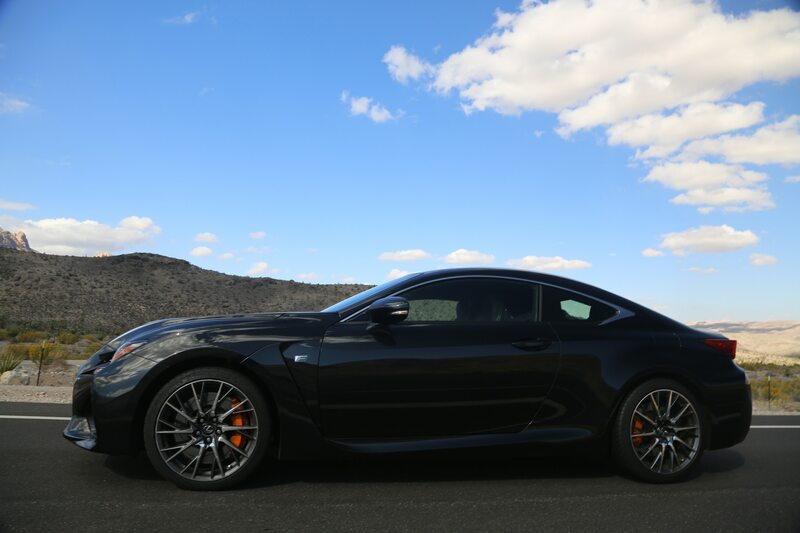 The engine produces considerable power figures of 467 hp and 389 lb-ft of torque, sent to the rear wheels through an eight-speed automatic sequential gearbox. 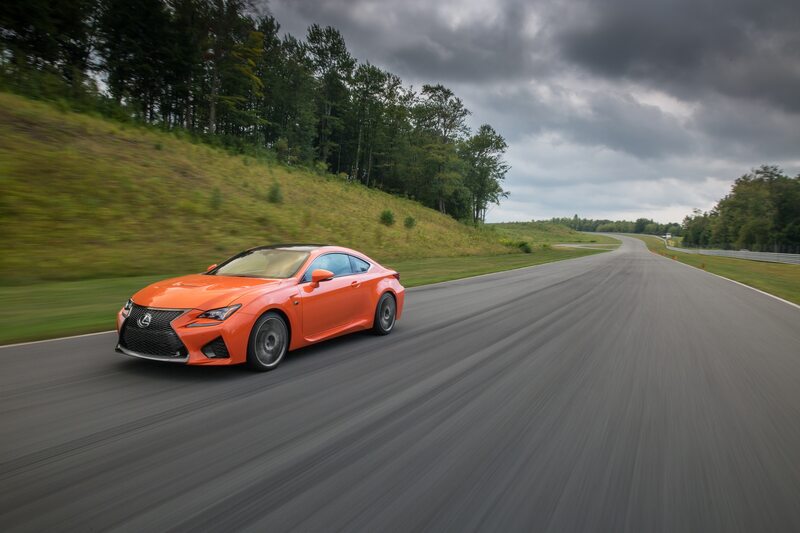 It’s a formula well suited for making highway pulls and passes. 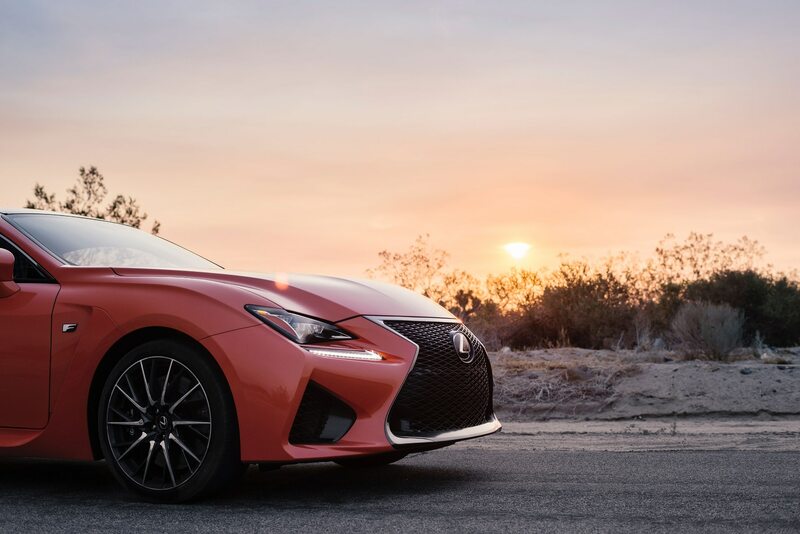 Impressive numbers aside, when driving solo across the desert the experience of road tripping becomes as important as the car’s performance. 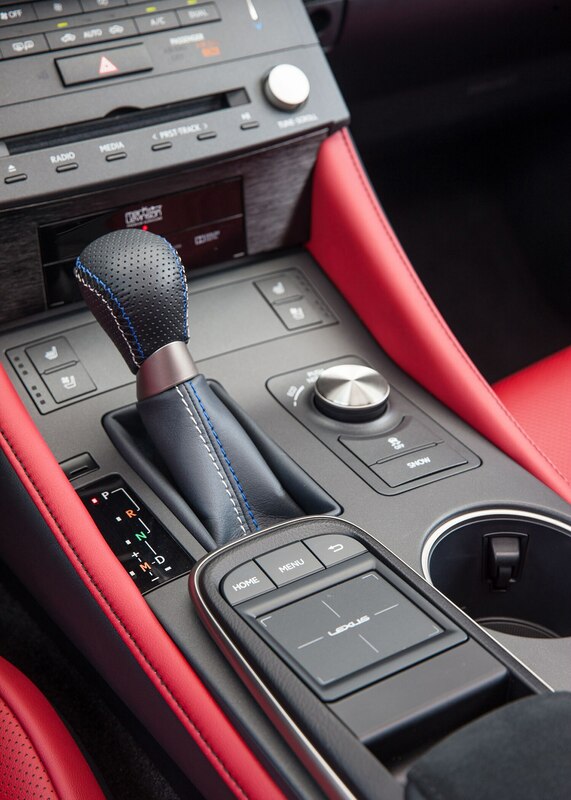 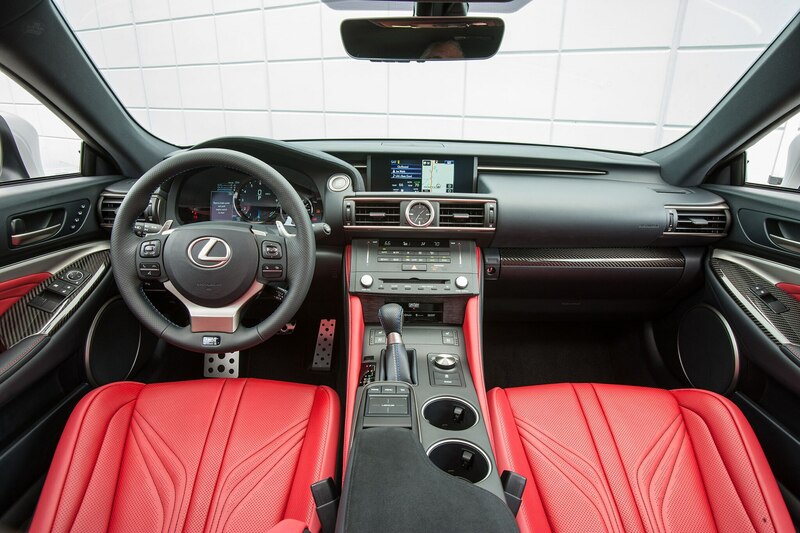 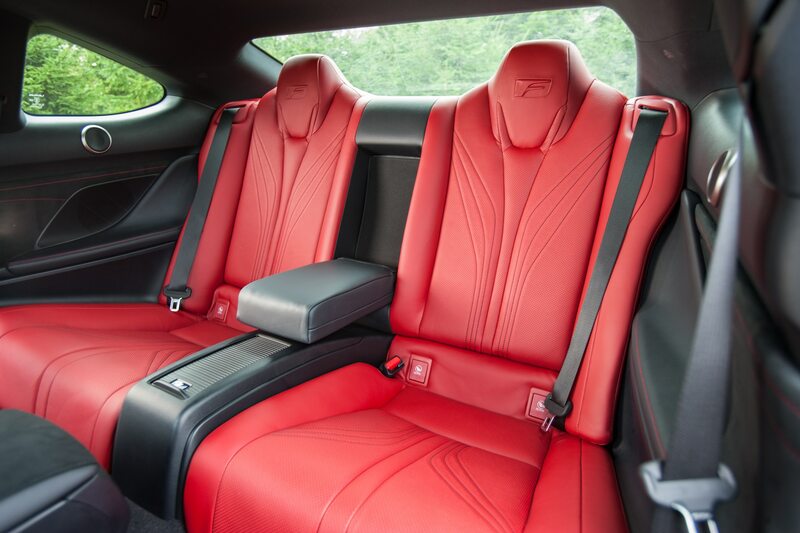 Fortunately, the RC F’s interior merges soft-touch materials and sportier accouterments—a perfect mixture for engaging and luxurious touring. 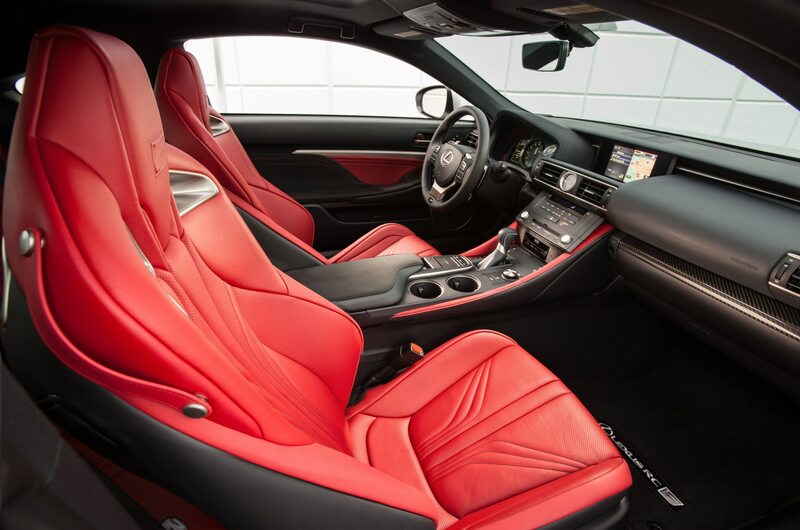 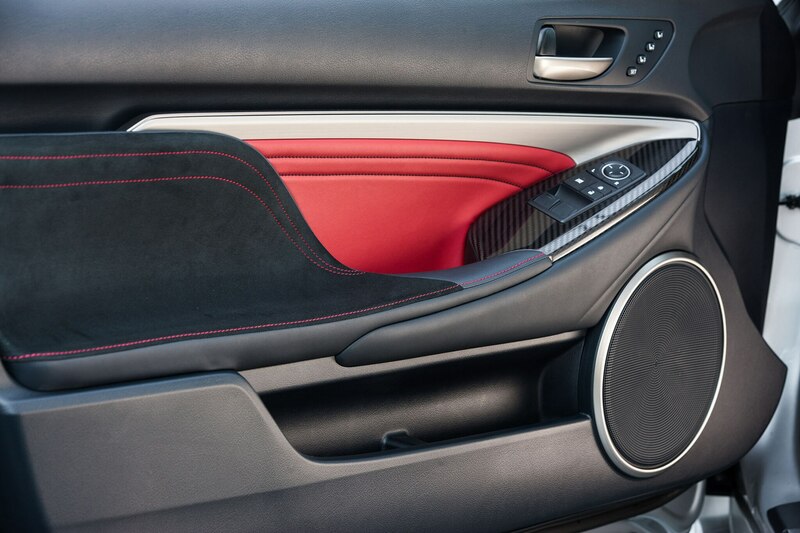 The door panels feature pillow-like leather padding, and there’s a leather-wrapped steering wheel, satisfying aluminum paddle shifters, and supportive seat bolsters for when the road gets twisty. 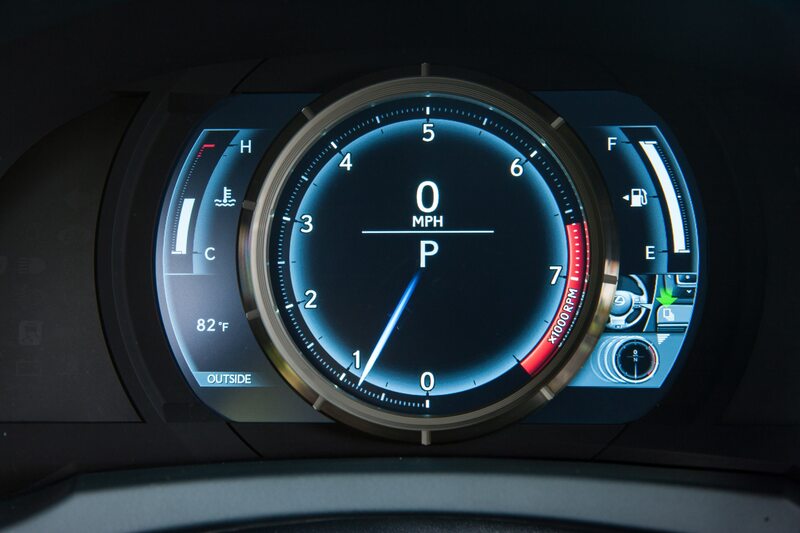 The 7-inch infotainment display’s small size and slow-response times show its age, but it gets the job done. 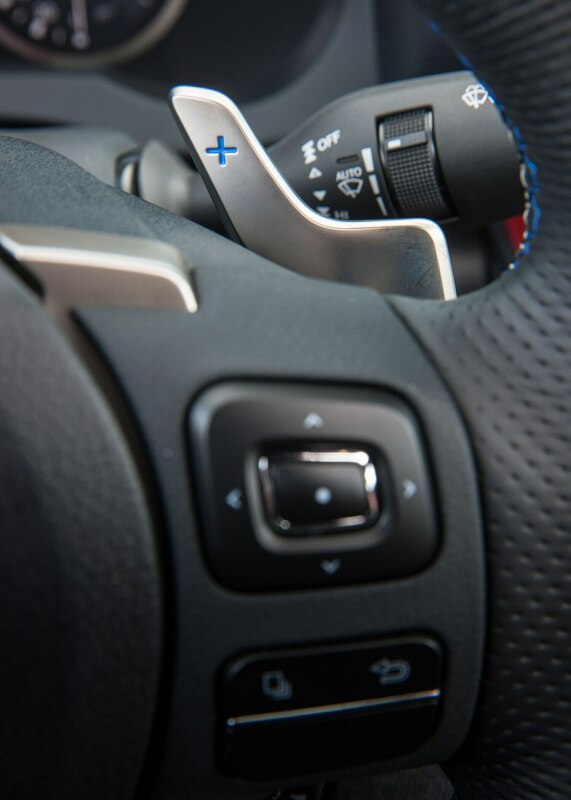 Its saving grace is the intuitive layout of the controls. 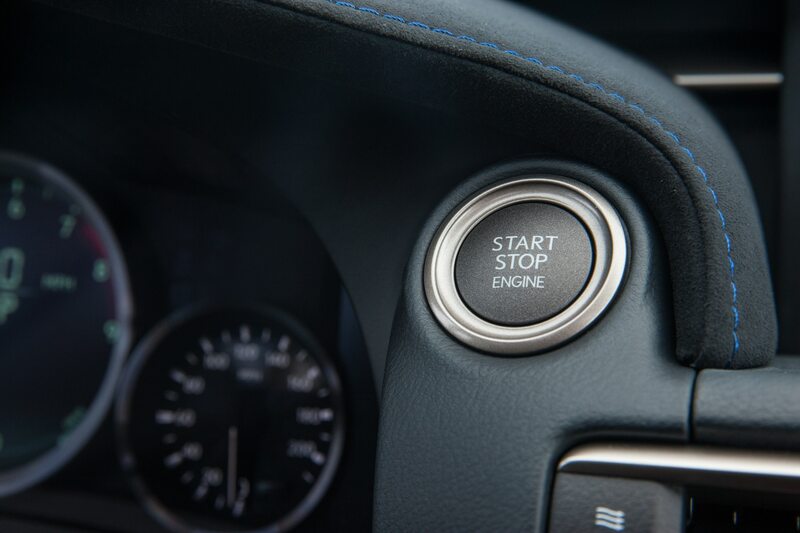 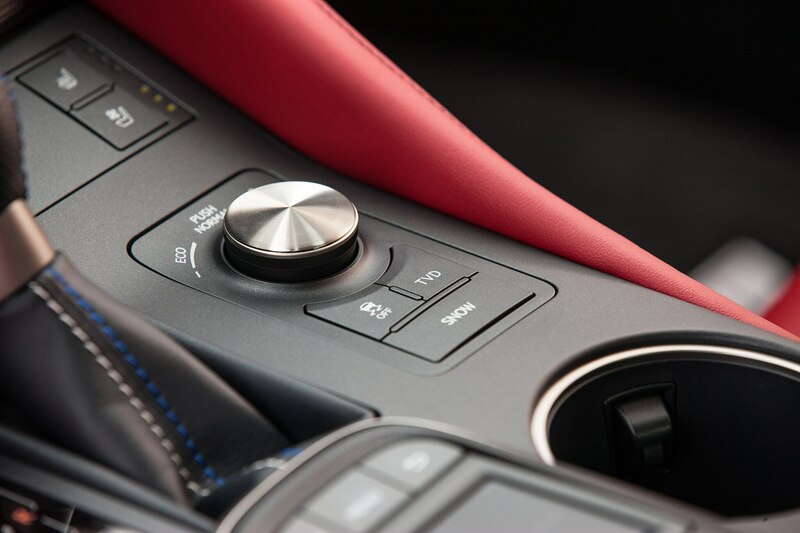 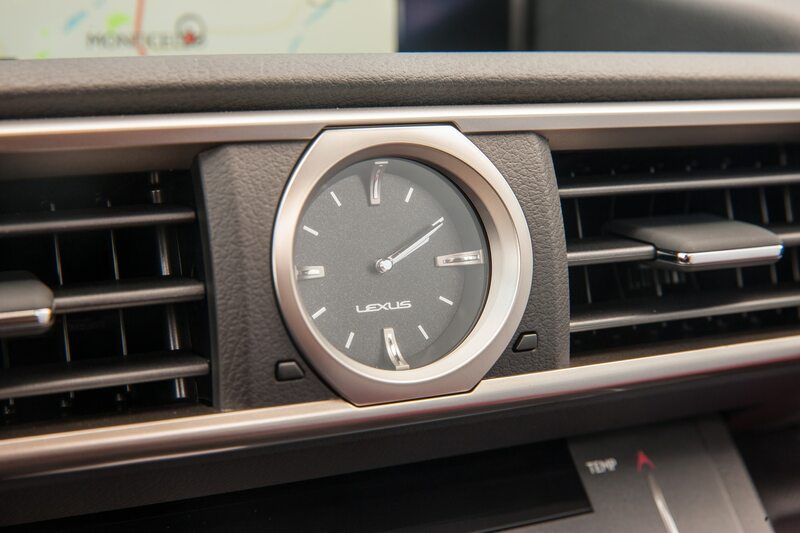 The buttons and knobs that operate nearly every aspect of the climate control and infotainment seem to be in all the right places, so there’s little need for the driver to take their eyes off the road to make adjustments to their ecosystem. 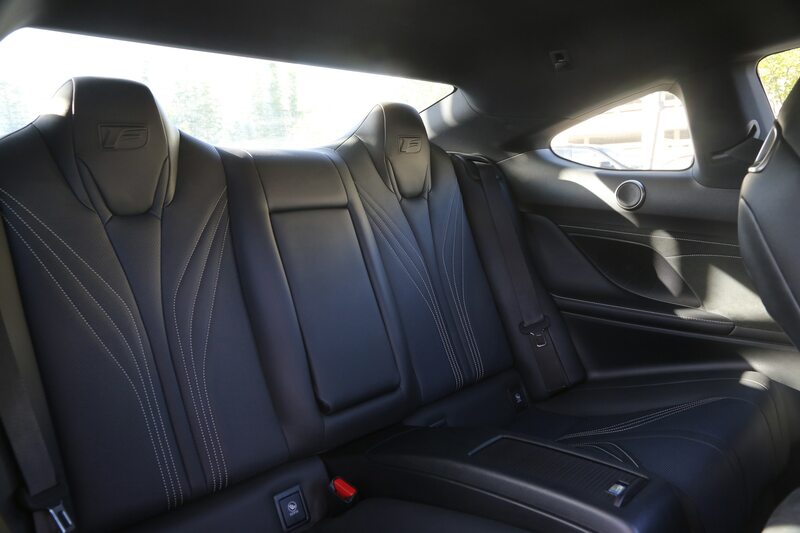 Trunk space is another important facet of touring. 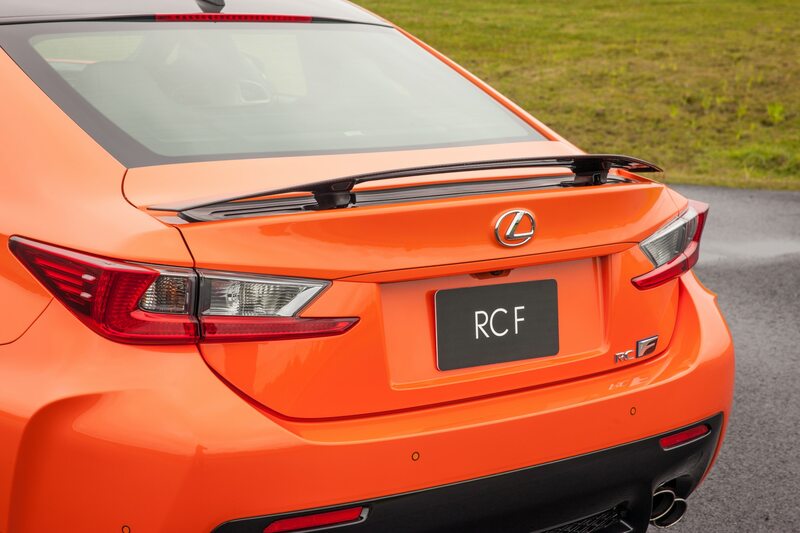 While the RC F’s 10.4 cubic feet of cargo space is on the smaller side, it was enough to swallow my gear for the week. 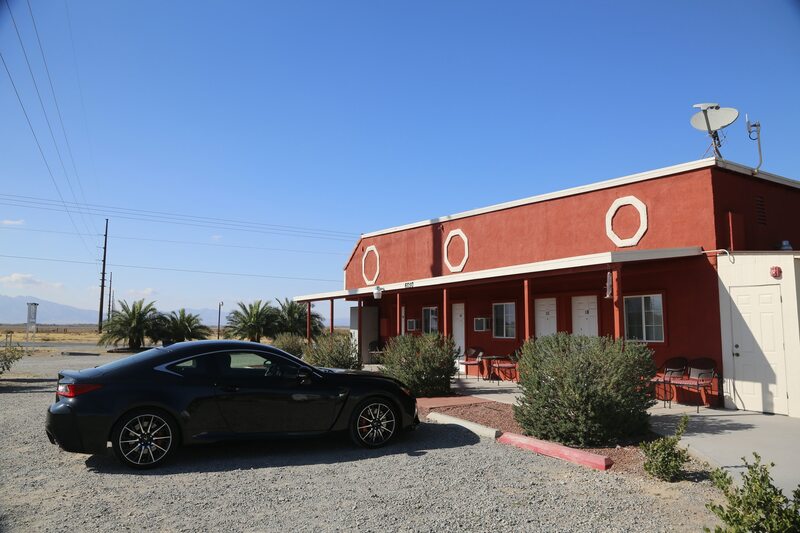 I made a couple airport runs to Las Vegas’ McCarran Airport later in the week and had room to spare for my coworker’s luggage in addition to my own. 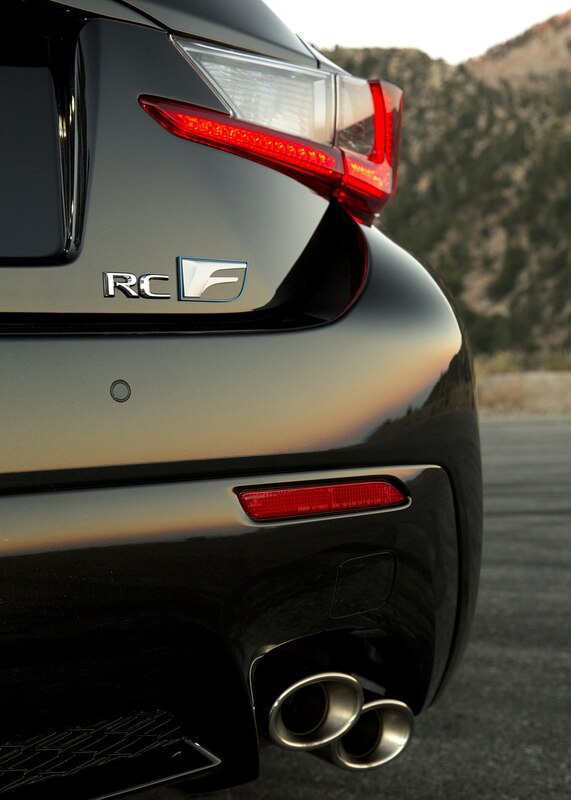 Visually the RC F fits the GT bill, its long hood and muscular haunches clearly taking queues from the LFA supercar. 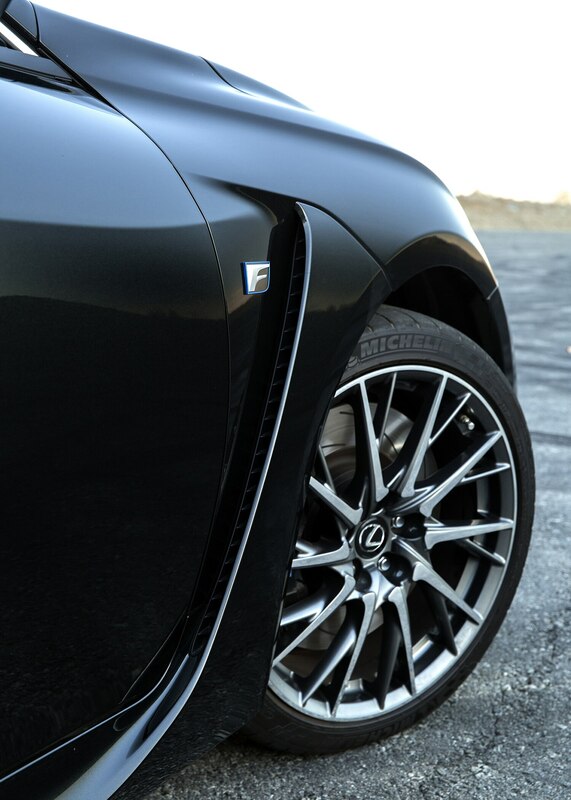 Even though I opted for black metallic Caviar paint for a more subdued look, the car still drew a lot of attention. 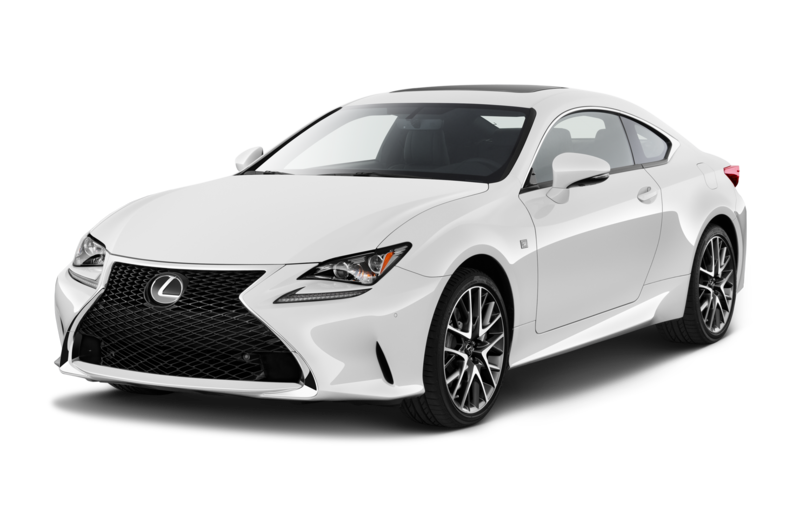 A man even leaned out of his window to give the car props on my return trip home—the bellowing exhaust note didn’t hurt in this department. 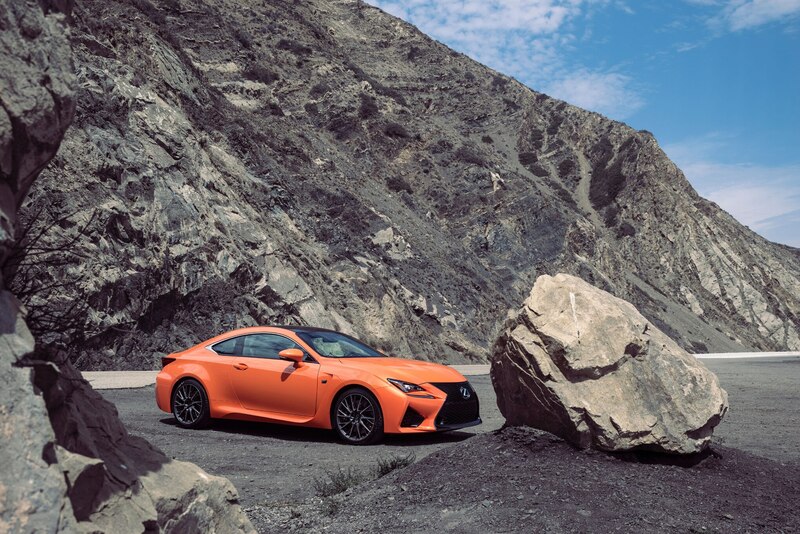 The trek across the desert also gave me the opportunity to spend time in each of the four drive settings: Eco, Normal, Sport, and Sport+. 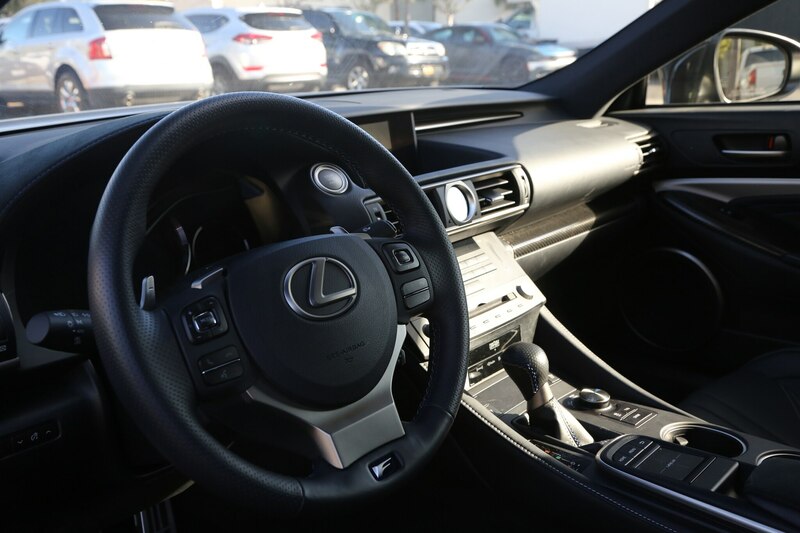 These choices were well dialed in for modulating throttle response and shift points and I always found one that was appropriate for any given situation. 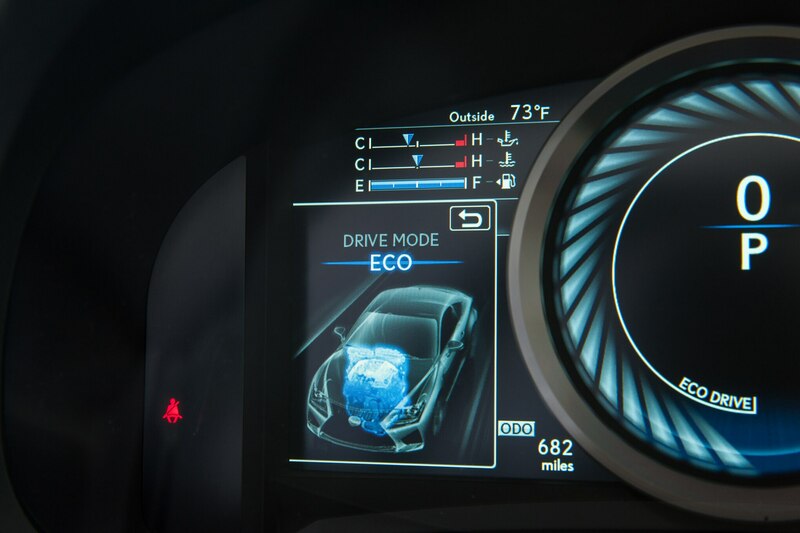 Eco was great for stretching out the gas tank in traffic scenarios, and Normal served me well in areas with residential speed limits. 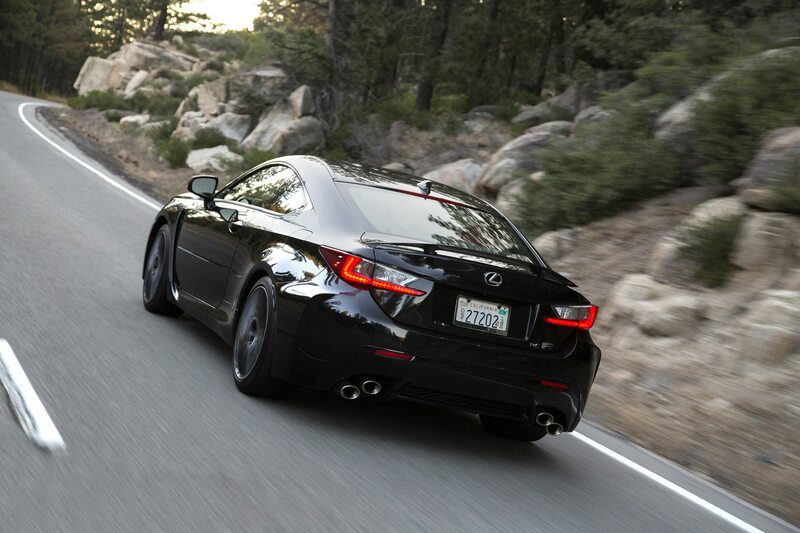 Sport and Sport+ provided the most engaging driving experience for highway or winding road driving. 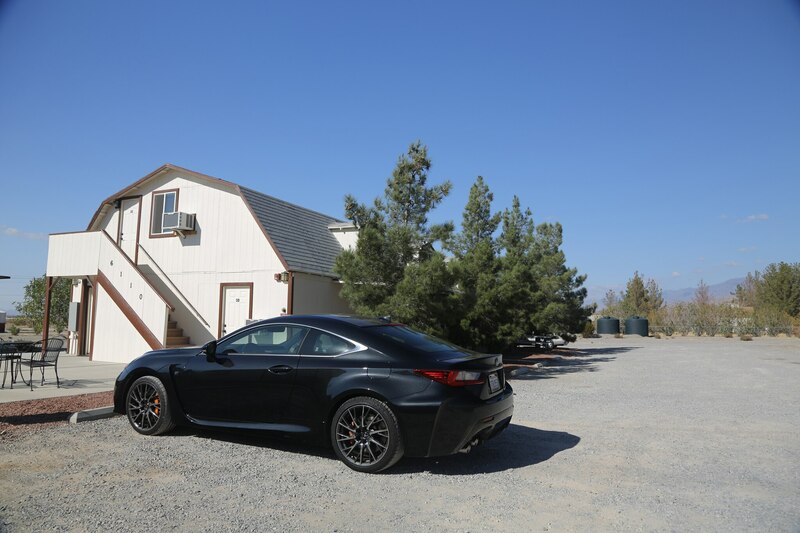 Most my time on my way to Nevada was spent in Sport and I stepped it up to Sport+ for the return trip to Los Angeles. 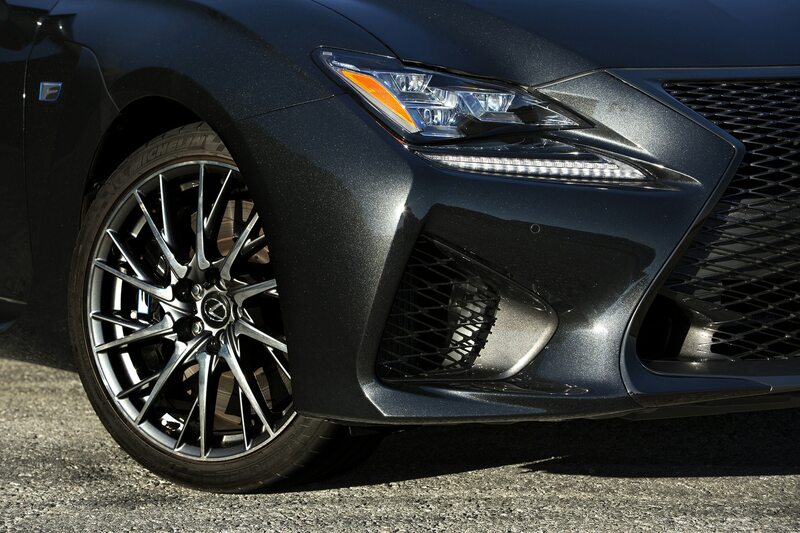 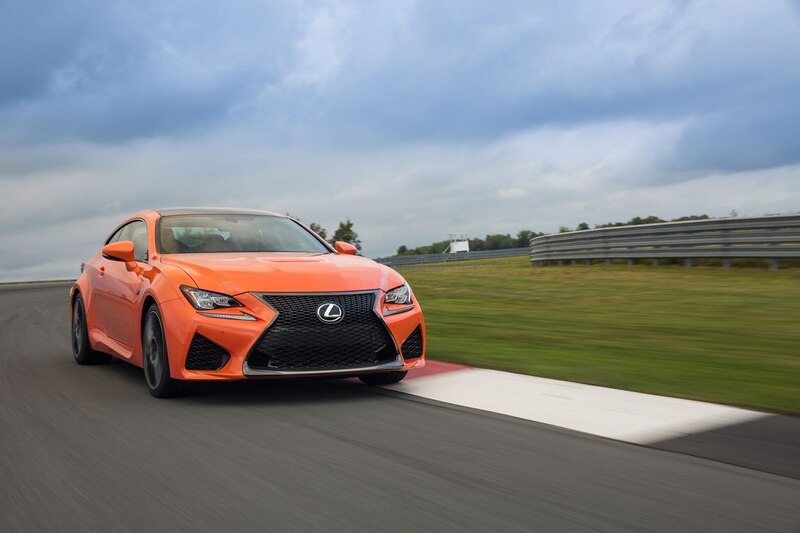 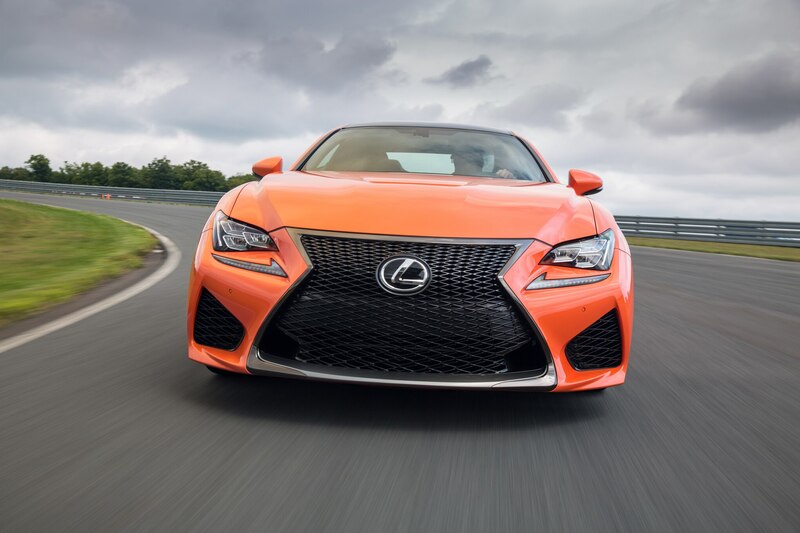 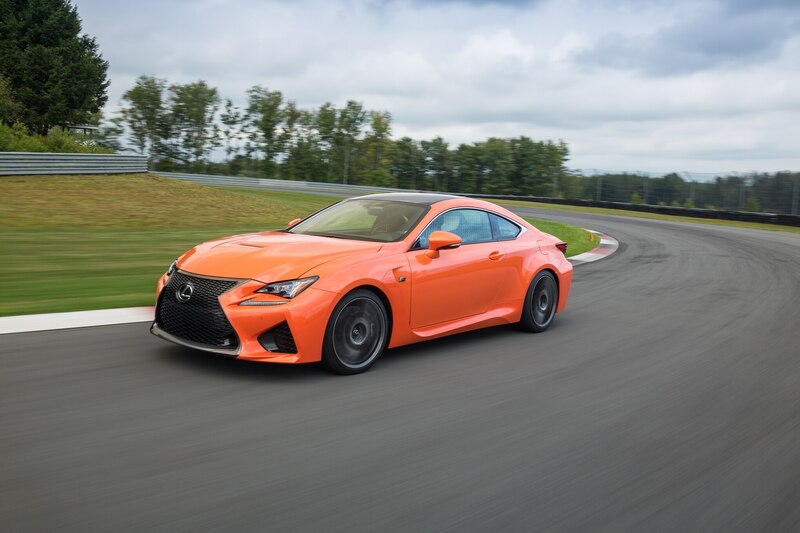 In its most aggressive drivetrain setting, the RC F stays in gear a lot longer, resulting in less downshifting for highway passing acceleration. 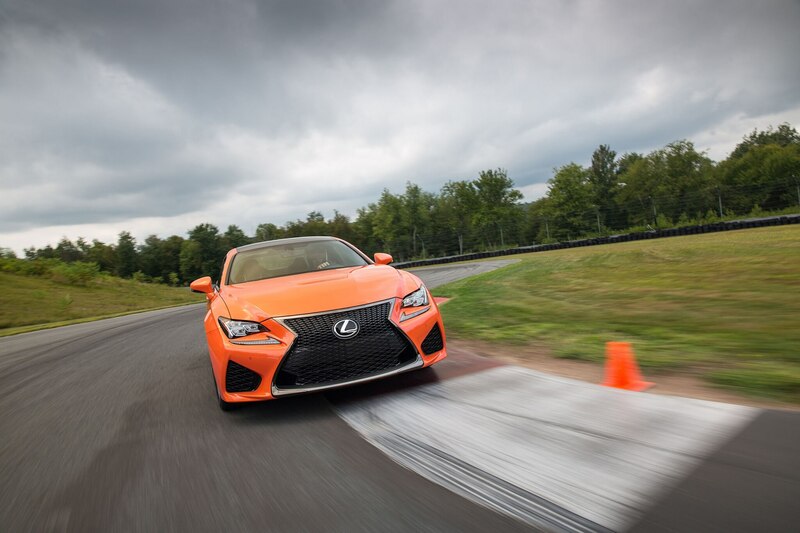 It doesn’t hurt that the sound in Sport+ goads the driver to keep a foot on the gas pedal. 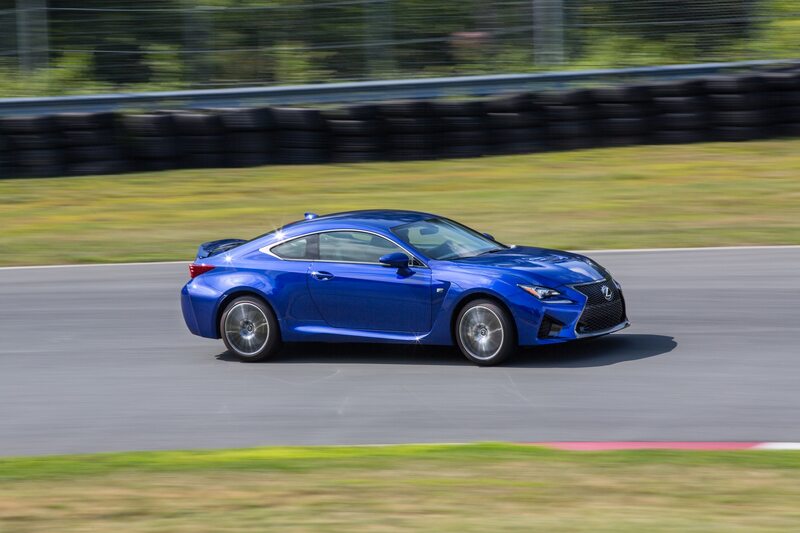 I also played with the settings of the torque-vectoring rear differential and noticed slight changes in the driving experience between Normal, Slalom, and Track. 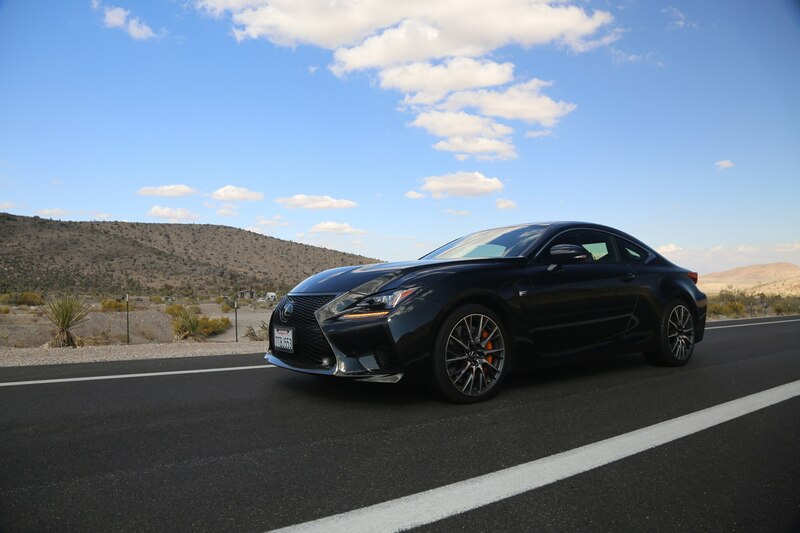 The majority of my drive consisted of long straights or sweeping turns, of which the V-8’s ample pulling power made short work. 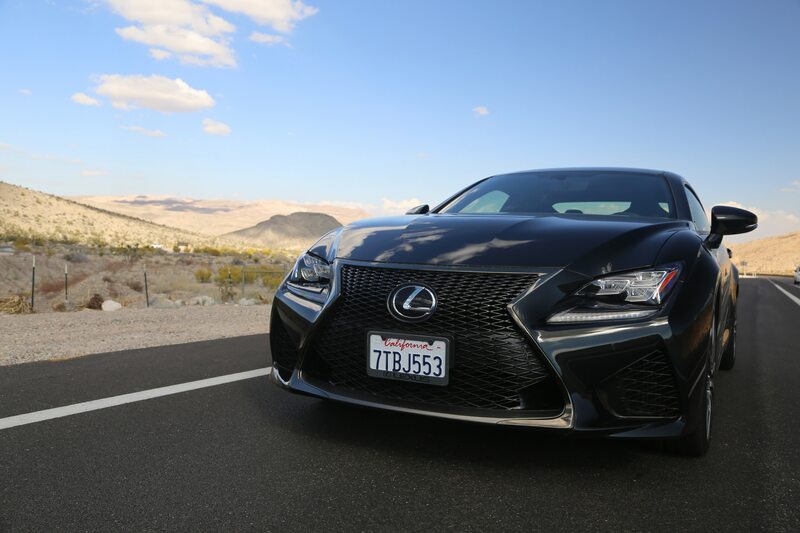 When the time came to dig into the twisting corners of Nevada’s hills, steering was precise and full of feeling. 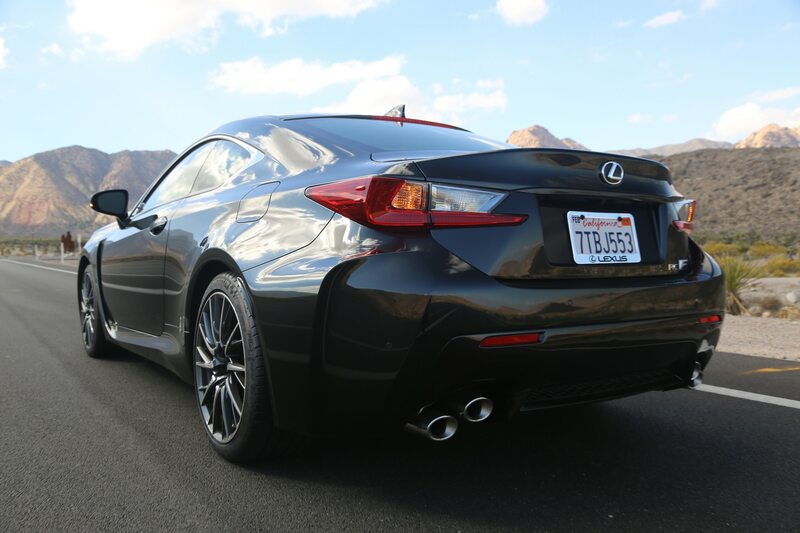 There was no way I could reach this car’s limits within the realm of legality. 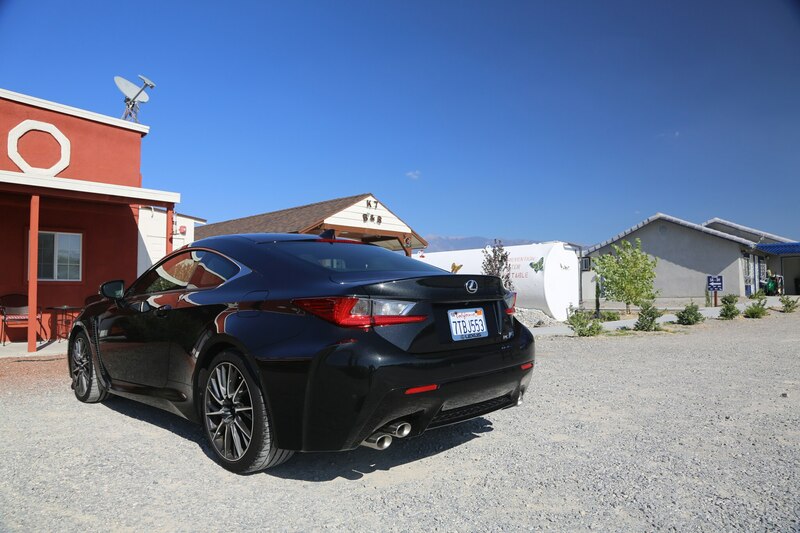 Fuel economy played a bigger role in my adventure than I anticipated. 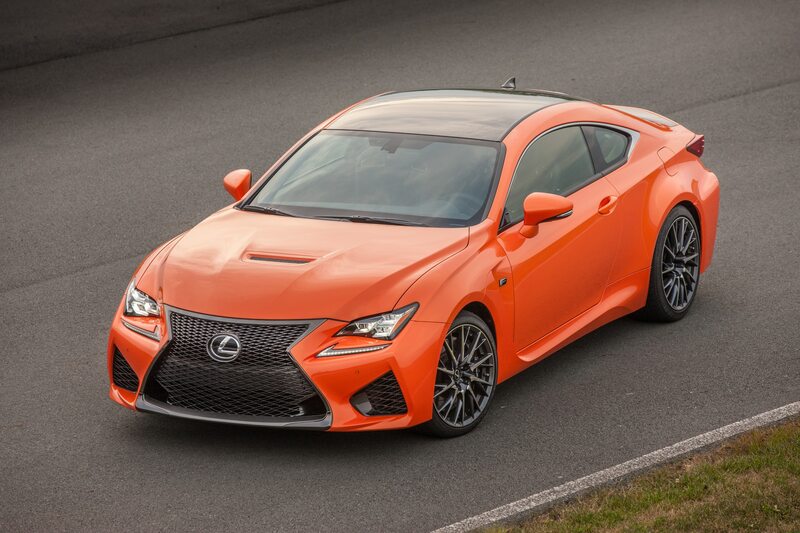 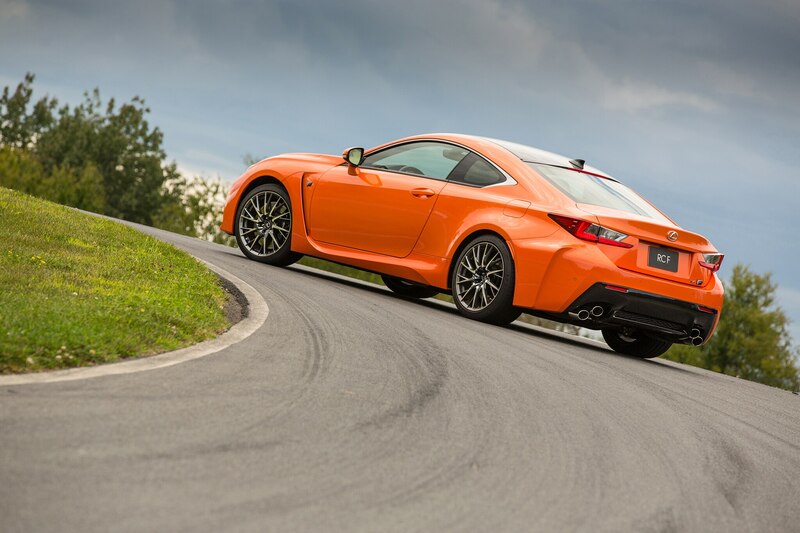 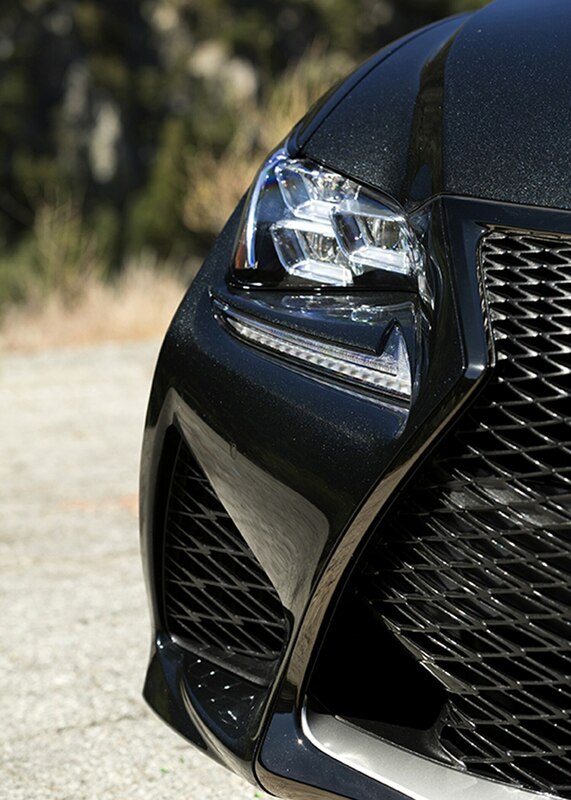 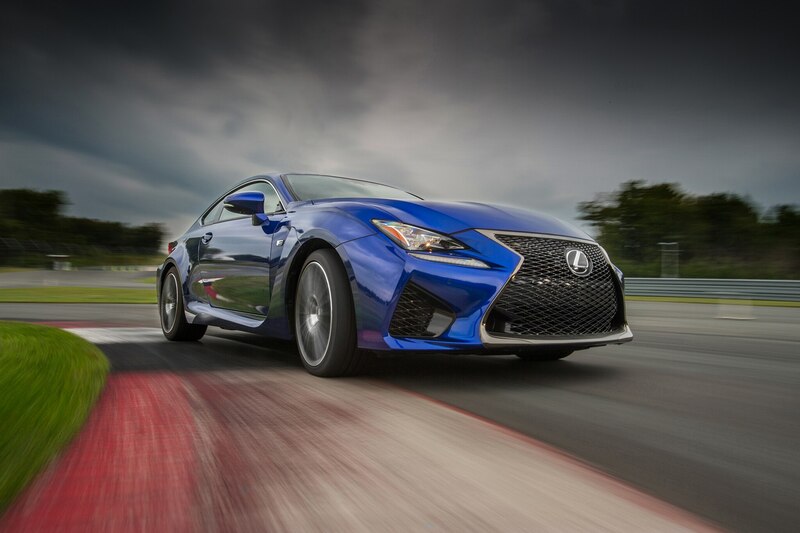 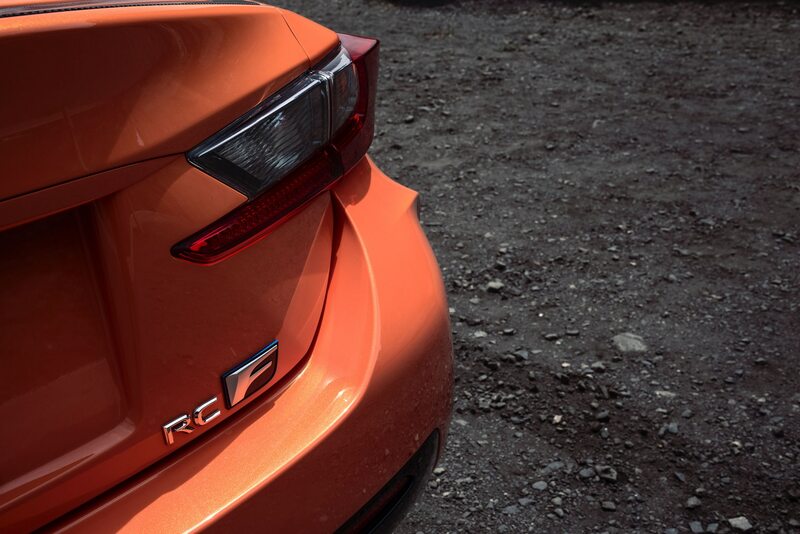 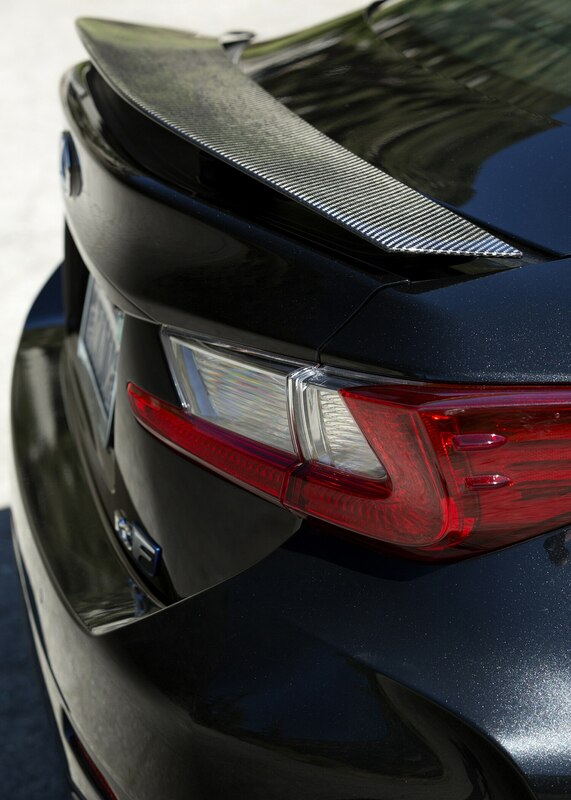 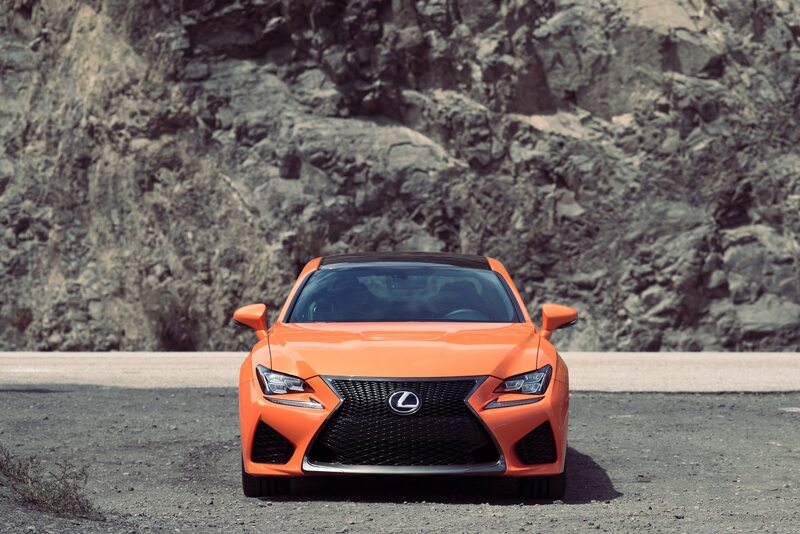 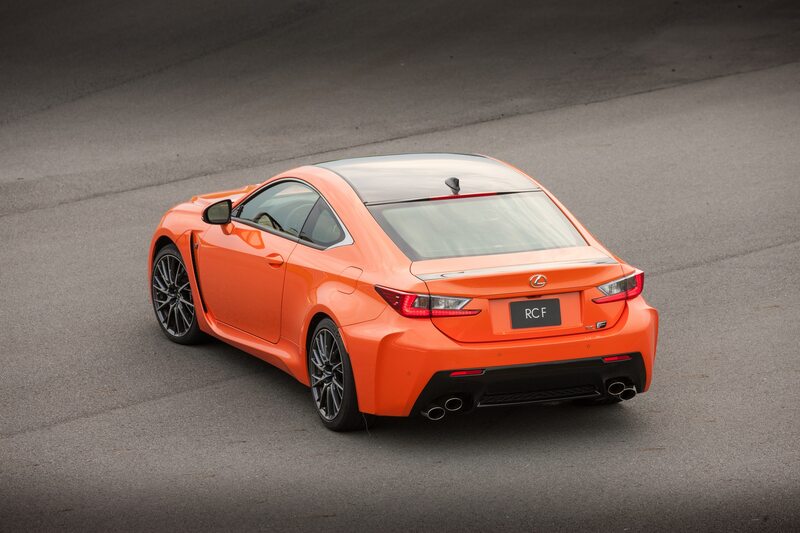 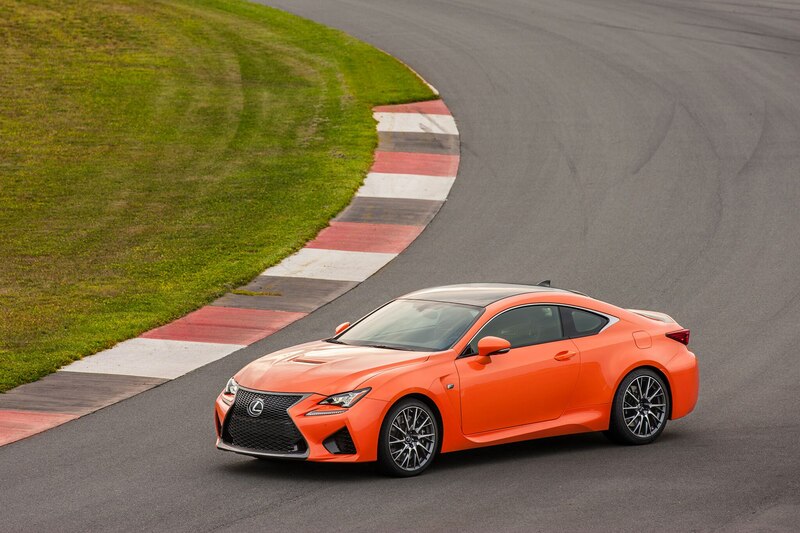 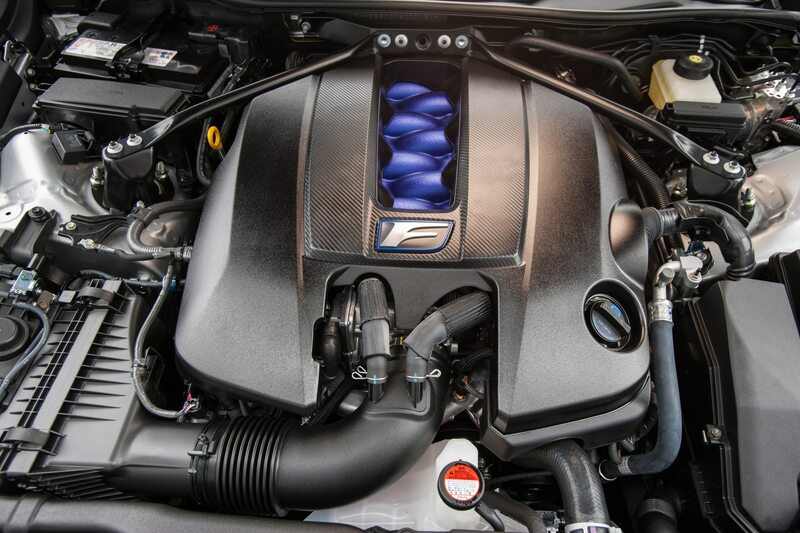 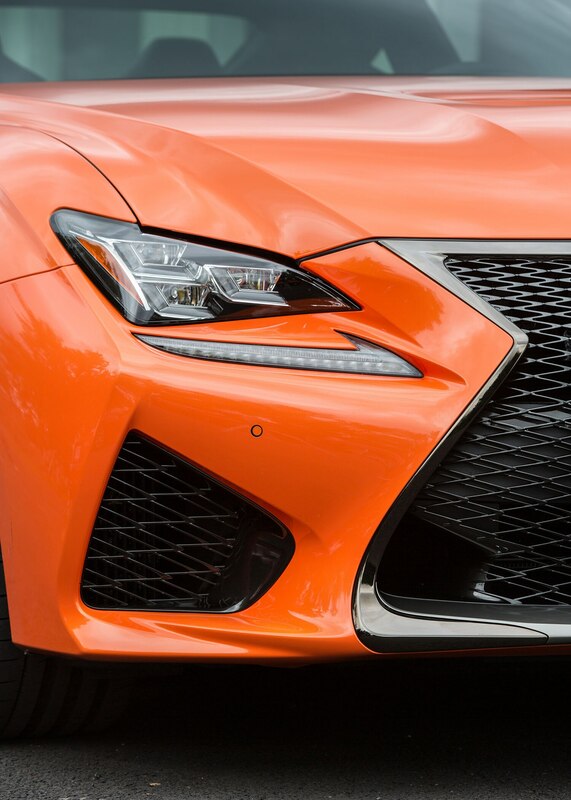 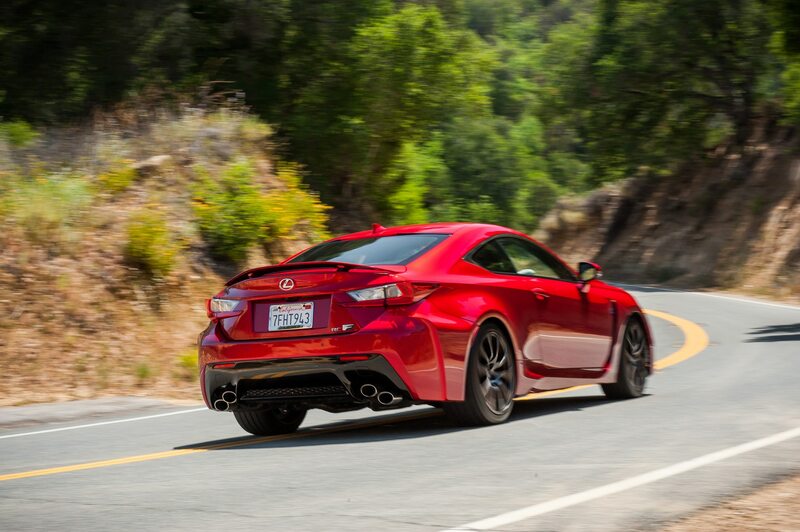 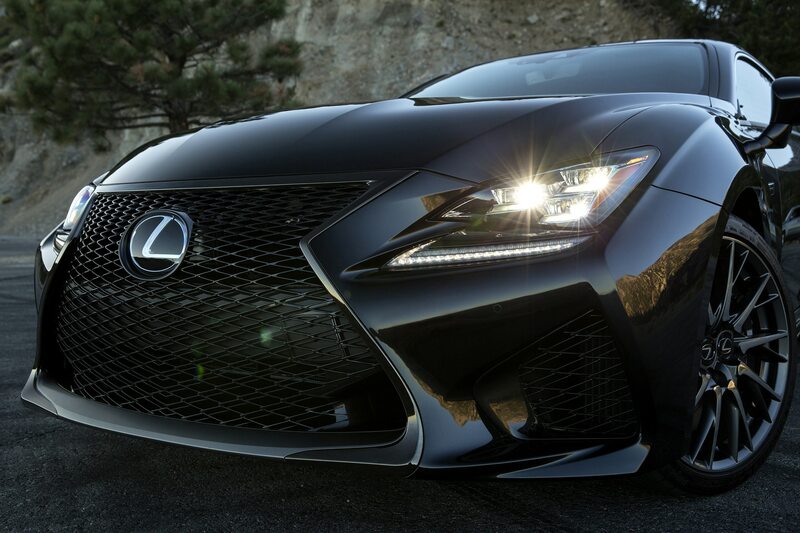 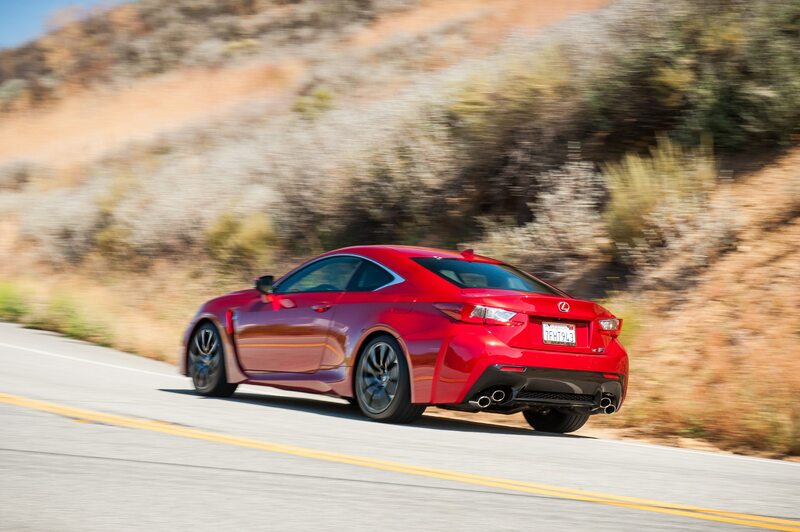 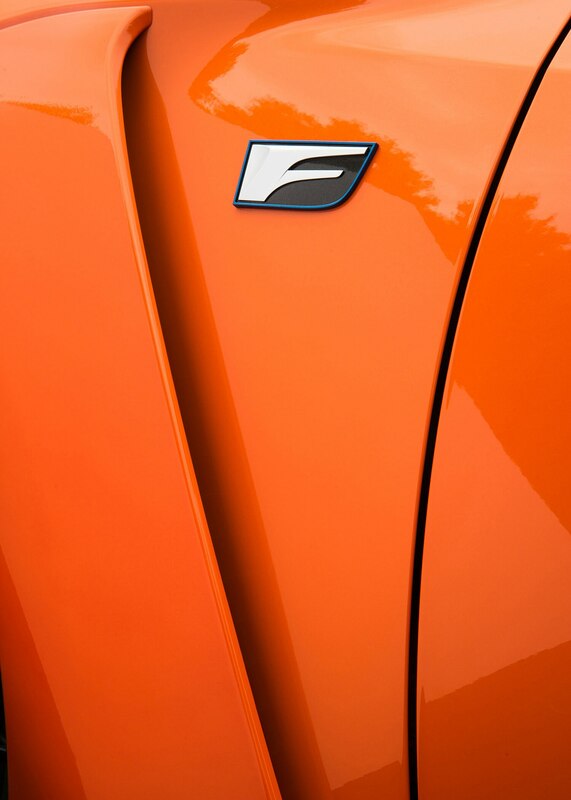 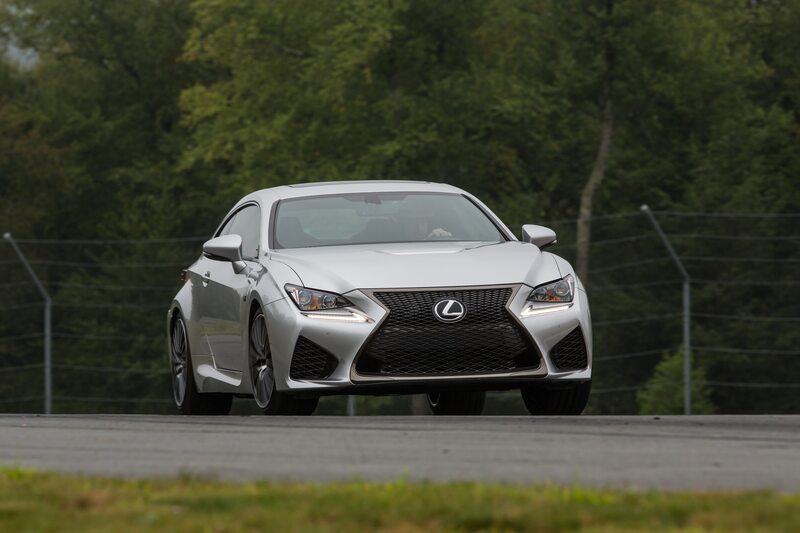 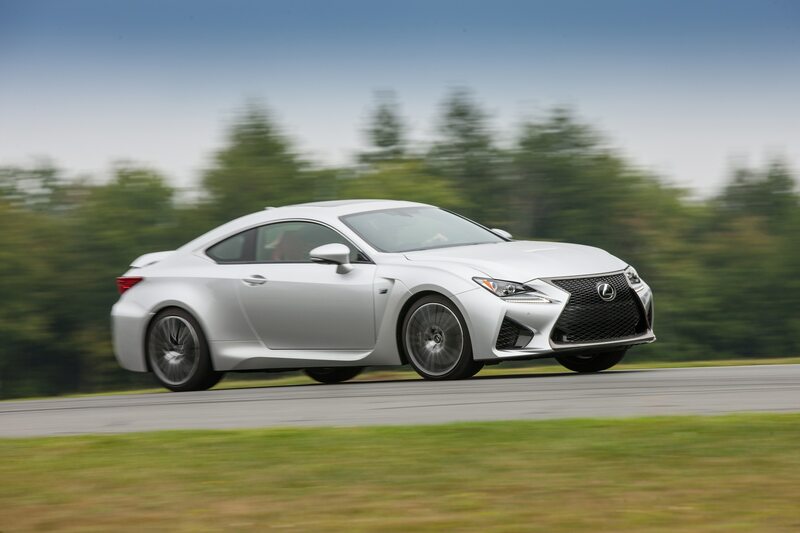 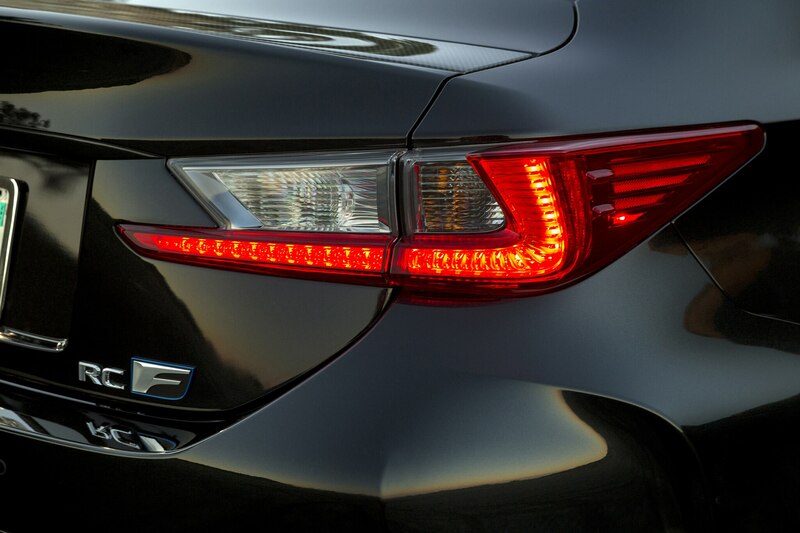 One of the RC F’s weak points is its short range relative to its 17.4-gallon fuel tank. 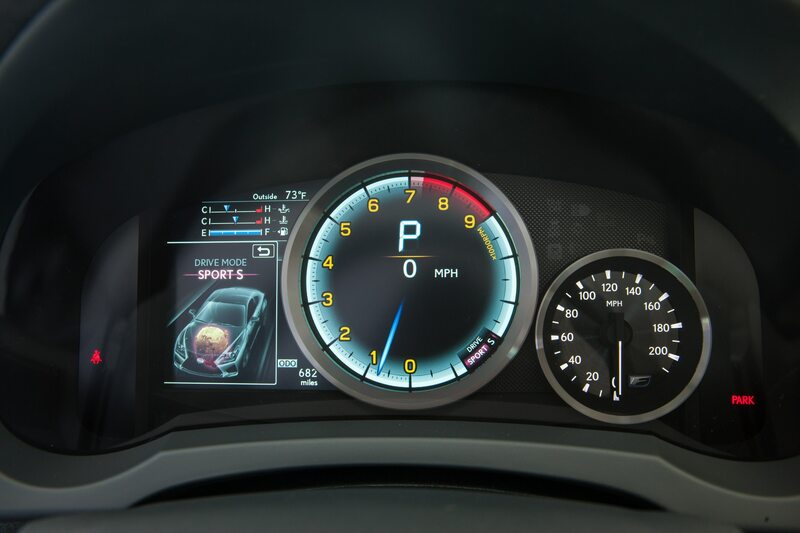 When full, the indicated range was just over 260 miles. 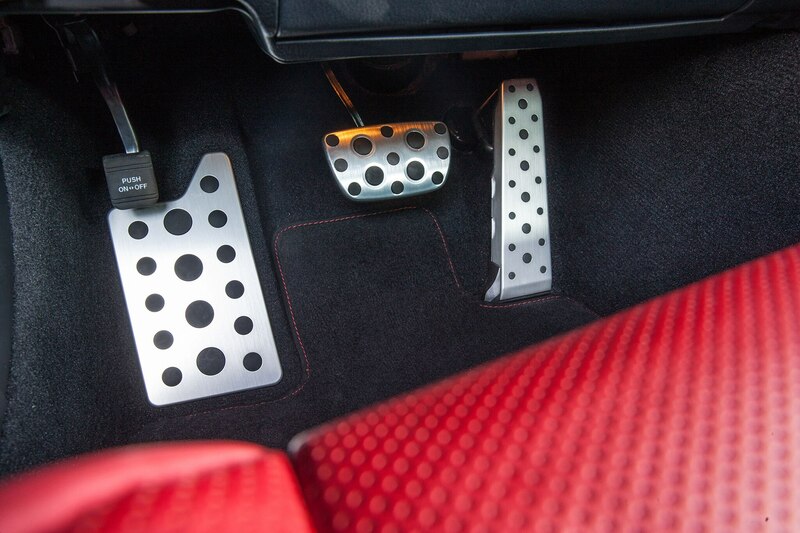 This wasn’t an issue when I was driving locally in Pahrump, Nevada for the Koenigsegg event. 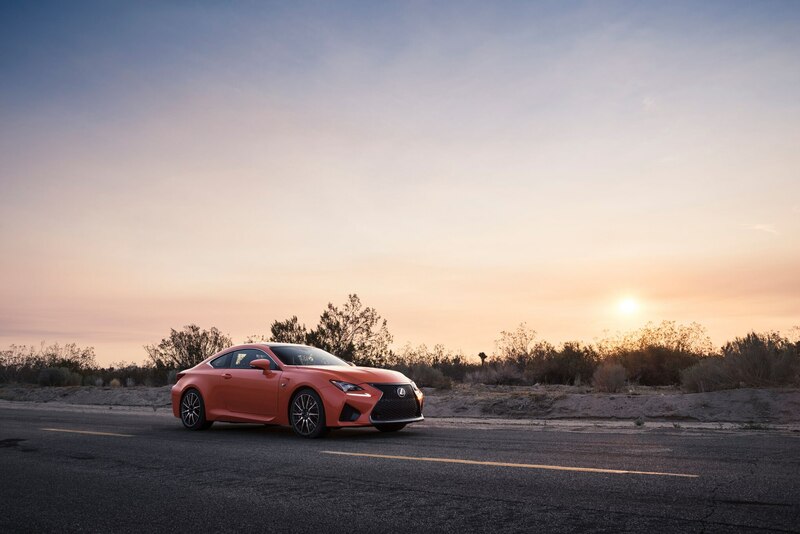 However during the cross-state trek, another 40 miles would be appreciated. 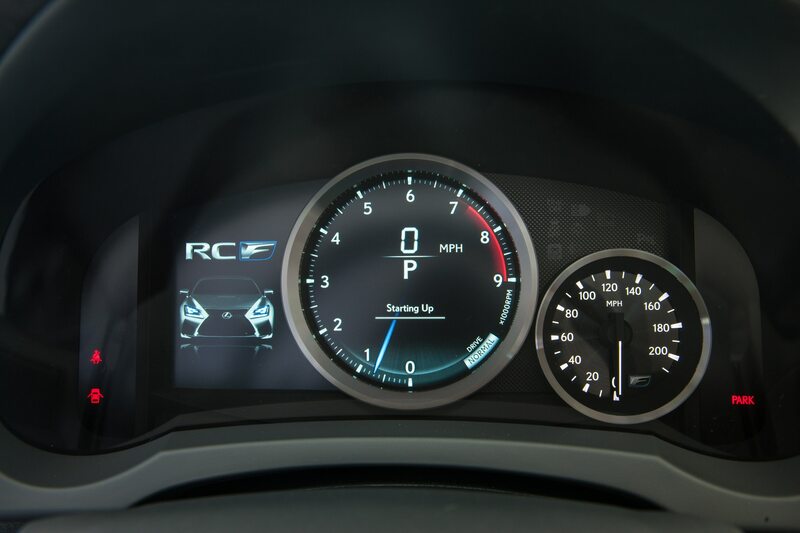 Gas mileage is rated at 16/25 mpg with a combined 19, but the RC F reported an average 15.1 mpg at the start of my drive and climbed to 16.1 mpg by time I was through. 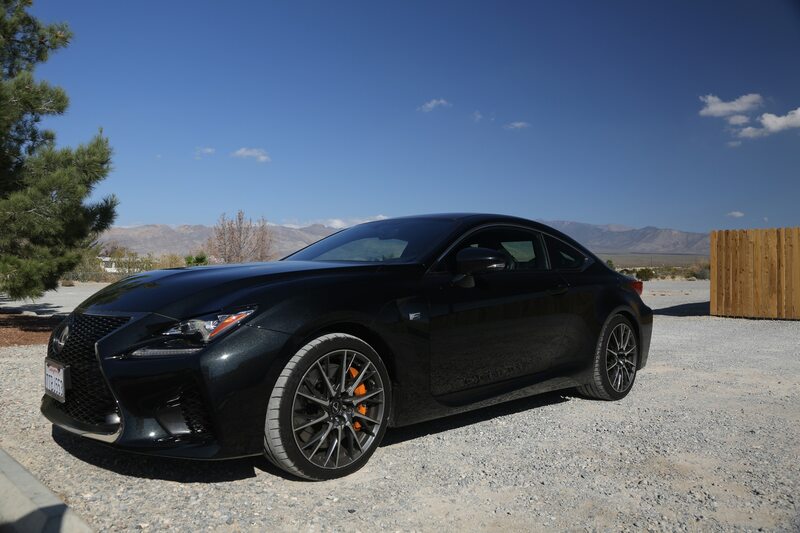 By time I handed the keys back I crushed almost 1,000 miles in the 2017 Lexus RC F. It felt solid, planted, and predictable at every junction of my drive. 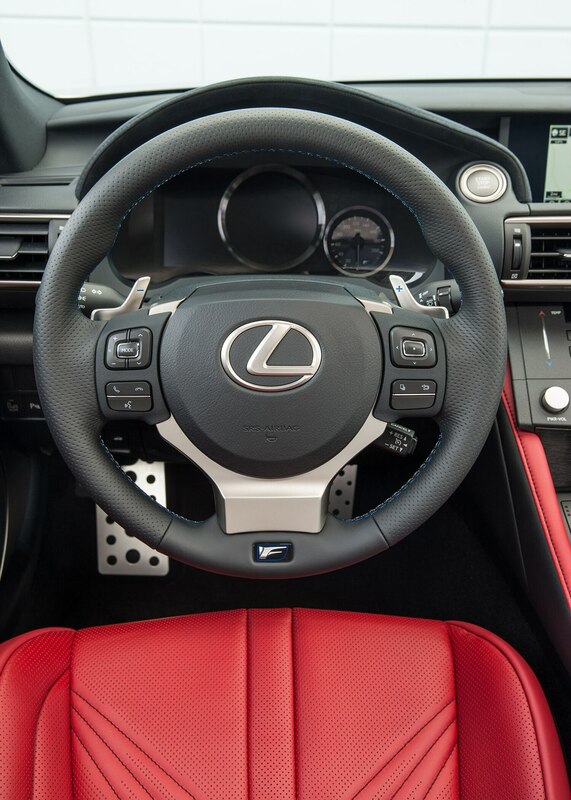 I loved having such a deep well of power from which I could pull any time I needed to accelerate and I appreciated the driver-oriented cockpit. 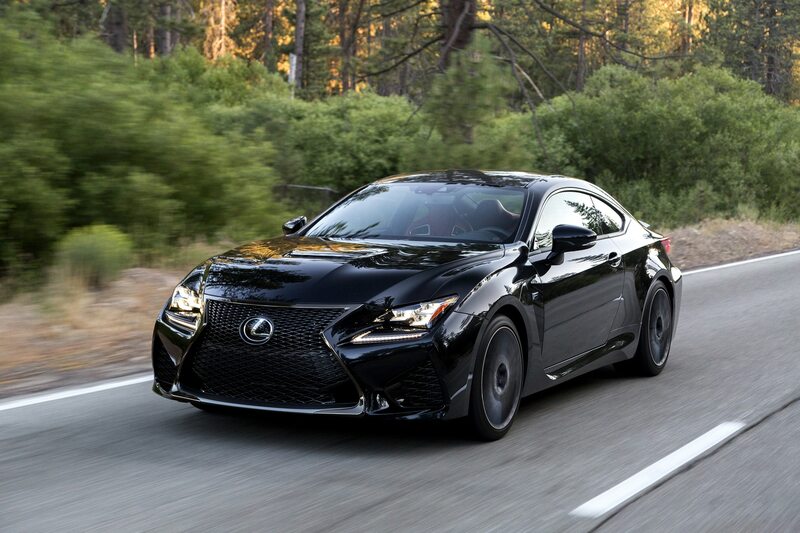 Just as every cowboy has their horse, the RC F played the role of muscle car with aplomb, eagerly gobbling up huge stretches of freeway with plenty of grunt to spare.